Casting a Giant Shadow: The Transnational Shaping of Israeli Cinema, co-edited with Rachel S. Harris (Bloomington: Indiana University Press [forthcoming]). “Israeli Cinema Studies: Mapping Out a Field,” co-authored with Yael Mazor, in Shofar: An Interdisciplinary Journal of Jewish Studies (forthcoming). “’The King’s Daughter Is All Glorious Within’: Female Modesty in Judaic-Themed Israeli Cinema,” in Journal of Jewish Identities 9.1 (Spring 2016). “‘Strange Times to be a Chicken’: The Meaning of a Metaphor,” in Short Film Studies 6.2 (Spring 2016). 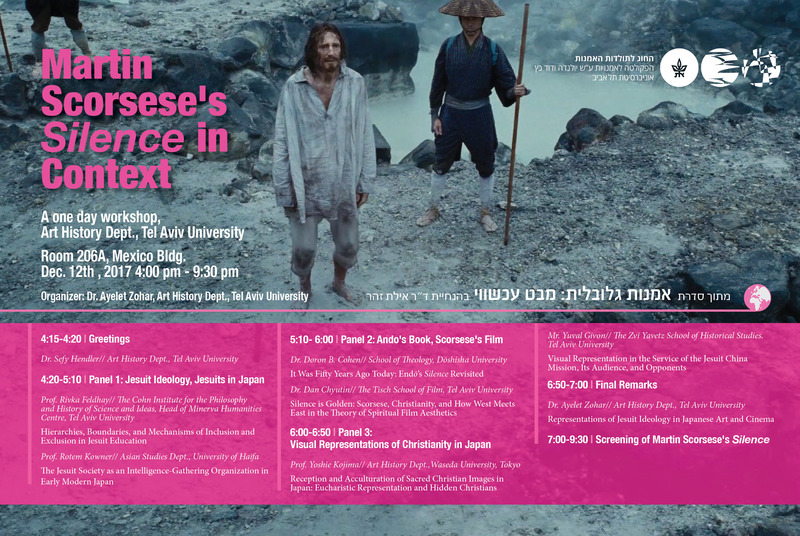 “‘Lifting the Veil’: Judaic-Themed Israeli Cinema and Spiritual Aesthetics,” in Jewish Film & New Media: An International Journal 3.1 (Spring 2015). “Judaic Cinecorporeality: Fleshing Out the Haredi Male Body in Avishai Sivan’s The Wanderer,” in Shofar: An Interdisciplinary Journal of Jewish Studies 33.1 (Fall 2014). “‘A Remarkable Adventure’: Martin Luther and the 1950s Spiritual Marketplace,” in Cinema Journal 52.3 (Spring 2013). “Introduction: Israeli Cinema beyond the National,” co-authored with Rachel S. Harris, in Casting a Giant Shadow: The Transnational Shaping of Israeli Cinema (Bloomington: Indiana University Press [forthcoming]). 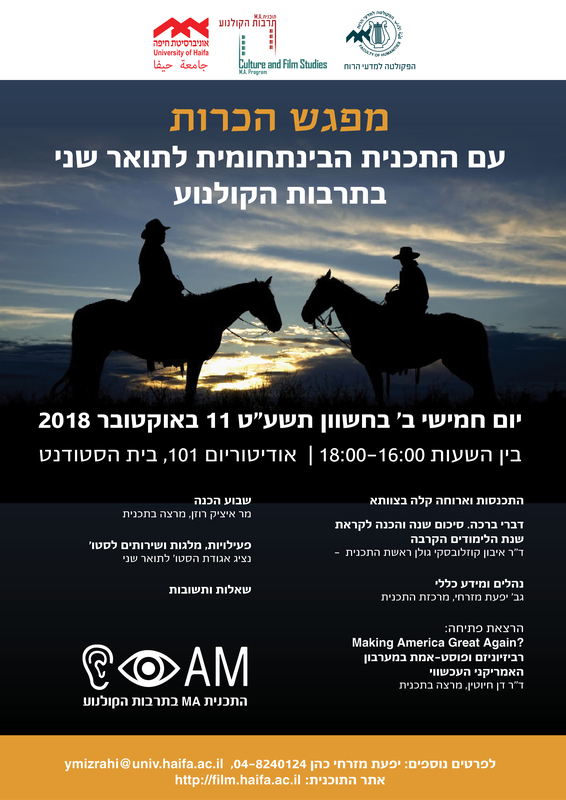 “‘I Have a Great Passion for Americans’: The Juggler and the Question of National Cinema,” in Casting a Giant Shadow: The Transnational Shaping of Israeli Cinema (Bloomington: Indiana University Press [forthcoming]). “Negotiating Judaism in Contemporary Israeli Cinema: The Spiritual Style of My Father, My Lord,” in Israeli Cinema: Identities in Motion (Austin: University of Texas Press, 2011). Book Review: “Studying Waltz with Bashir / Giulia Miller,” in Jewish Film & New Media: An International Journal 7.1 (forthcoming). “Afterthoughts on Martin Luther (1953) and Christian American Cinema,” in Flow 17.12 (May 2013). Book Review: “Celluloid Sermons: The Emergence of the Christian Film Industry, 1930-1986 / Terry Lindvall and Andrew Quicke,” in Historical Journal of Film, Radio and Television 32.4 (December 2012). “Mishima” / “The Duellists,” official entries, American Film Institute Catalog, 2011. “The Return of the Western,” in Cinematheque 151 (March-April 2008) (in Hebrew). “Iwo Jima and the Unbearable Heaviness of Myths,” in Cinematheque 146 (May-June 2007) (in Hebrew). Andrew W. Mellon Predoctoral Fellowship (2013/2014): School of Arts and Sciences, University of Pittsburgh. Schusterman Residency Program at American University (Spring 2014): Schusterman Family Foundation (CLSFF) and the Israel Institute. TSOA/Cinema Studies M.A. Fellowship (2005, 2006): NYU, Tisch School of the Arts. Memorial Scholarship (2004, 2005): Tel Aviv University, Arts Faculty. Dean’s List (2004, 2005): Tel Aviv University, Arts Faculty. Filmmaking Encouragement Scholarship (2003): America-Israel Cultural Foundation. Class: World Film History (1945-2000), The Spiritual in Film Aesthetics, The Western. Classes: Seminar in Composition, Seminar in Composition: Film, and Introduction to Film. Wrote and directed fiction and avant-garde shorts that were officially selected to various festivals, including the Zebra Poetry Film Award (Berlin), Interfilm Berlin, Tirana International Film Festival, Brooklyn International Film Festival, ARTFilm Slovakia, Izmir International Poetry Festival, Invideo Milan, and the International Festival of Short Films on Culture (Jaipur, India). English, Hebrew (fluent); Arabic, French (proficient knowledge).